- Footballers play an active role in our live as role models, as both adults and kids look up to them. - However, that doesn’t stop them from engaging in actions that are rather unpleasing, which leads us to the conclusion that they are humans after-all. Recently, we analyzed a list of top footballers that have engaged in a rather shameless act of drink-driving. Current Chelsea fans favourite was arrested in 2011 for his involvement in a car crash in Spain’s capital Madrid. Alonso was driving at 122.8kmh in wet conditions in a 50kmh road when he collided with a wall, killing one of the fellow passengers in the car, a 19-year-old woman. 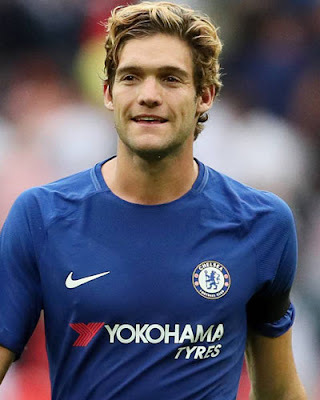 Originally facing 4 years in prison, Alonso had his sentence reduced to 21 months; it was later dropped completely as the full-back paid 500,000 euros as damages to the victim’s family. 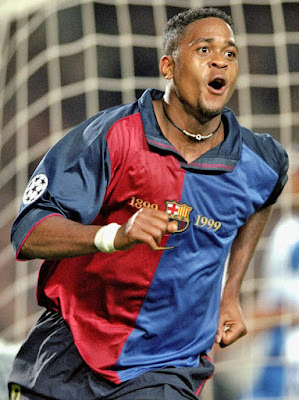 Back when Kluivert was 19, the Ajax and Barcelona legend crashed his friend’s BMW M3 into Dutch theatre director’s car Martin Putnam resulting in the death of the 56-year-old. “One minute I was the idol of the public, the hero of Dutch football. And the next minute they killing me because of what I had done.” The Dutch attacker, unable to handle the hate left Ajax to join Milan. In 2010, the former Flamengo captain was charged with the assault, torture and murder of his extramarital girlfriend and mother of his youngest child. In 2013, he was found guilty of ordering her murder, hiding the body and kidnapping his baby son, and was thus sentenced to a 22-year jail term. De Souza was released in February 2017, pending an appeal. What was even more despicable was the fact that Brazilian Seria B side, Boa Esporte, immediately handed him a professional contract. 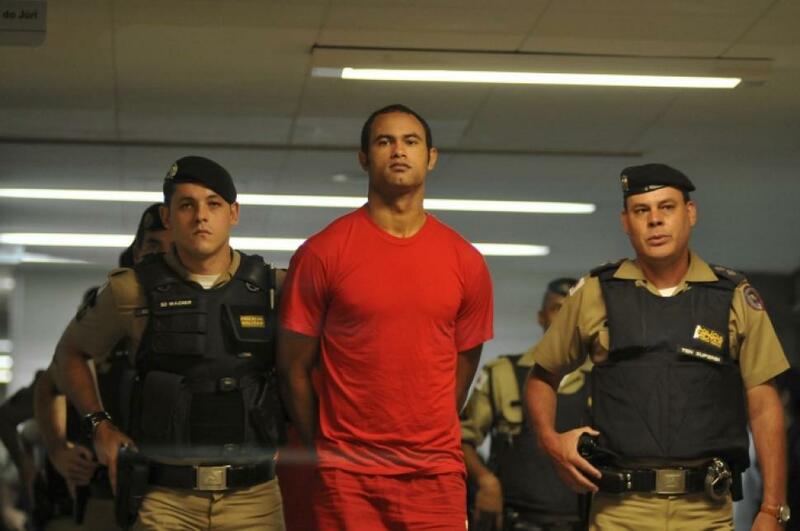 However, In April (this same year), Brazil’s Supreme Court ordered his re-arrest. 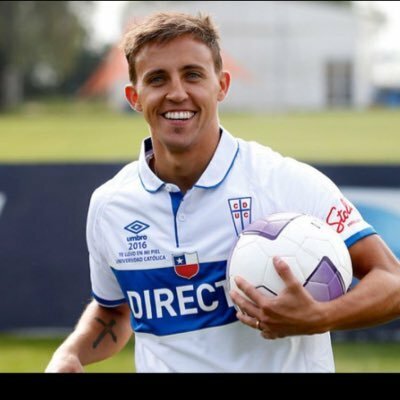 One of Argentina’s promising talents, Buonanotte was Lionel Messi’s team-mate in the Argentine squad which won the gold medal at the 2008 Olympics. In December 2009, Diego was driving his father’s Peugeot 307 and was on his way back from a night-out when he had an accident that left 3 of his companions in the car dead, leaving Diego as the sole survivor. After his recovery, there were calls from local prosecutor Carlos Colimedaglia to arrest him on three charges of manslaughter, but the charges were never pursued. But opposition fans shout at him, like “murderer”. The Algerian-born Frenchman, who even captained the French side in the 1930 World Cup; he committed heinous war crimes and directly killed more than 50 people during his life. Villaplane is mainly remembered for his extreme cruelty and brutality having ordered 53 people to be executed in Mussidan. He was sentenced to death on 1 December 1944 for his direct involvement in genocides. He was publicly executed by firing squad on 26 December 1944 at the Fort de Montrouge.